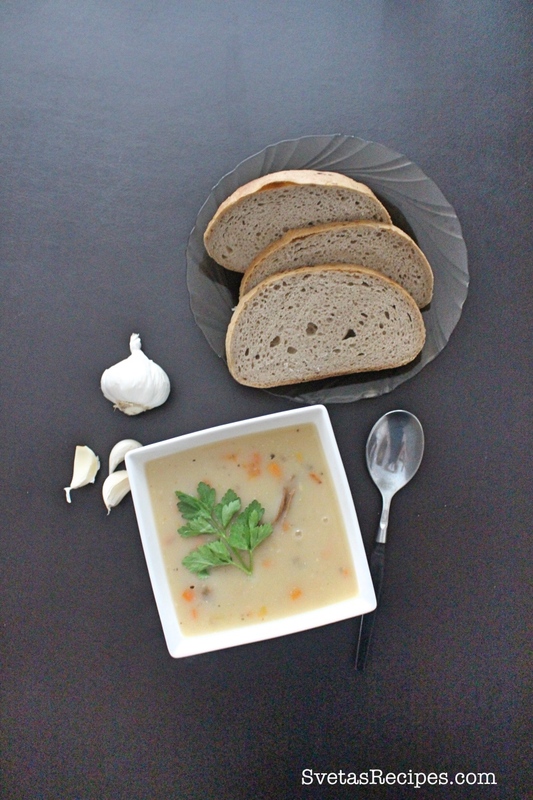 This soup is a very simple and easy recipe. Though It’s very popular in Ukraine and has been passed down through generations. In some villages it is eat with a spoon and in others its eaten by dipping bread into it. 1.) Wash and dry your mushrooms, then place your mushrooms in a pot, add water and salt. Peel and cut your onions and carrots, Place them on a hot oiled skillet and fry for 5 minutes on a medium heat white mixing occasionally. 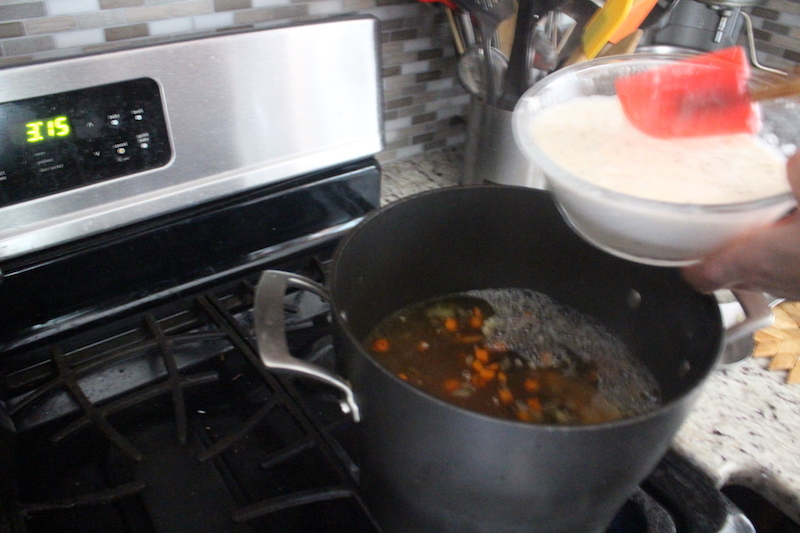 Let your mushrooms start boiling and boil for 10 minutes and then combine your carrot mixture with your mushrooms. Boil for another 10 minutes on a medium heat. 2.) 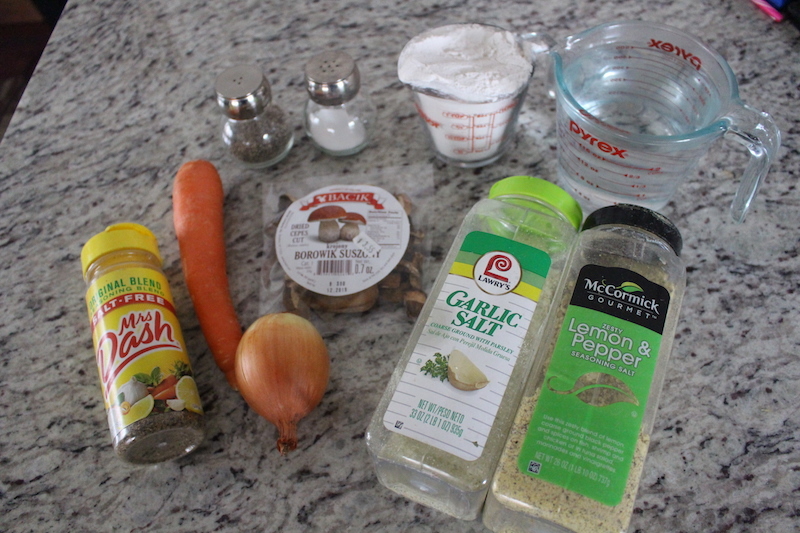 Add your flour to a bowl and slowly add water while mixing until you have a liquid mixture. Add your flour mixture into your pot while mixing. Bring your pot to a boiling point and then turn off the heat. Add seasoning, and enjoy. 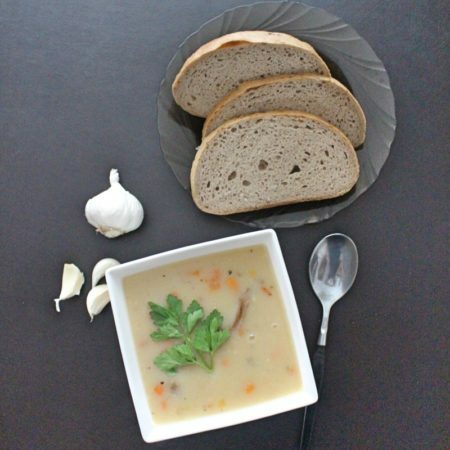 This soup is a very simple and easy recipe. Though It's very popular in Ukraine and has been passed down through generations. In some villages it is eat with a spoon and in others its eaten by dipping bread into it. Wash and dry your mushrooms, then place your mushrooms in a pot, add water and salt. Peel and cut your onions and carrots, Place them on a hot oiled skillet and fry for 5 minutes on a medium heat white mixing occasionally. 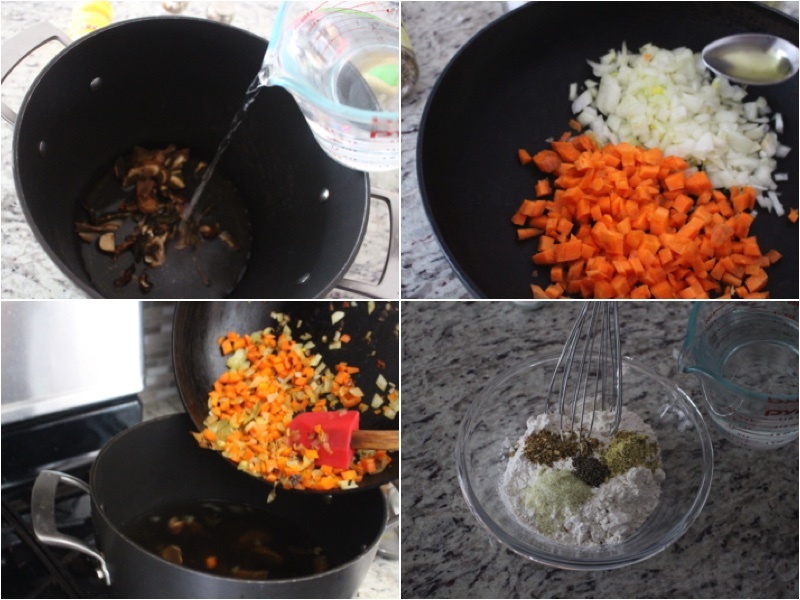 Let your mushrooms start boiling and boil for 10 minutes and then combine your carrot mixture with your mushrooms. Boil for another 10 minutes on a medium heat.Add your flour to a bowl and slowly add water while mixing until you have a liquid mixture. Add your flour mixture into your pot while mixing. Bring your pot to a boiling point and then turn off the heat. Add seasoning, and enjoy.